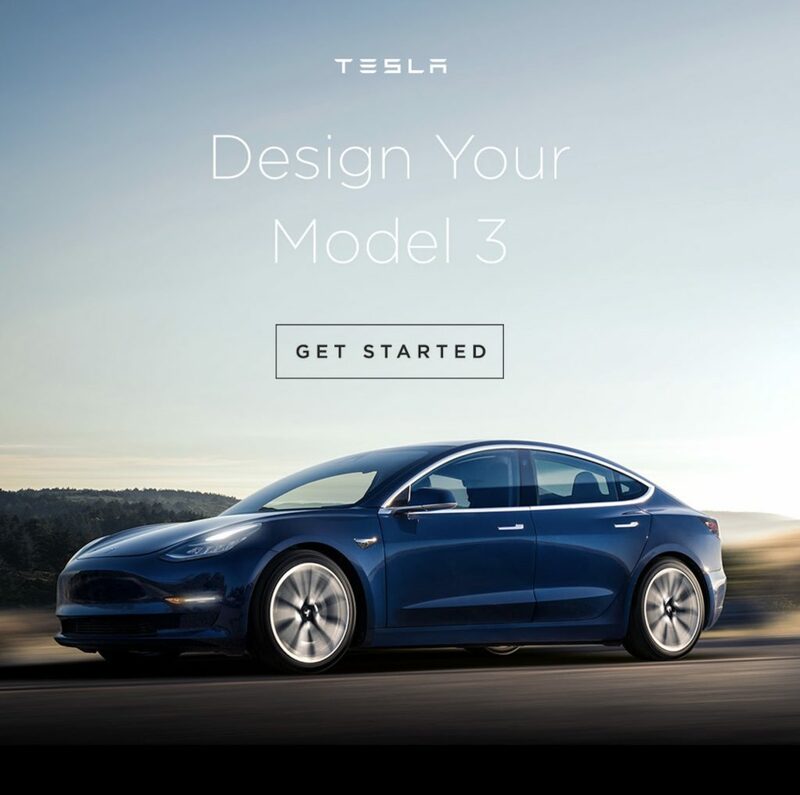 Tesla Model 3 reservations holders that are non-employees are beginning to receive invitations to design their vehicles through the company’s online configurator. The California-based electric car maker began sending email invitations to select reservation holders, prioritized by reservation sequence and location for vehicle delivery. “Deliveries of Model 3 will be generally prioritized by geography, starting with owners registered in California or those taking deliveries at Fremont.” said Tesla in an internal email sent in July to its employees that were Model 3 reservation holders. 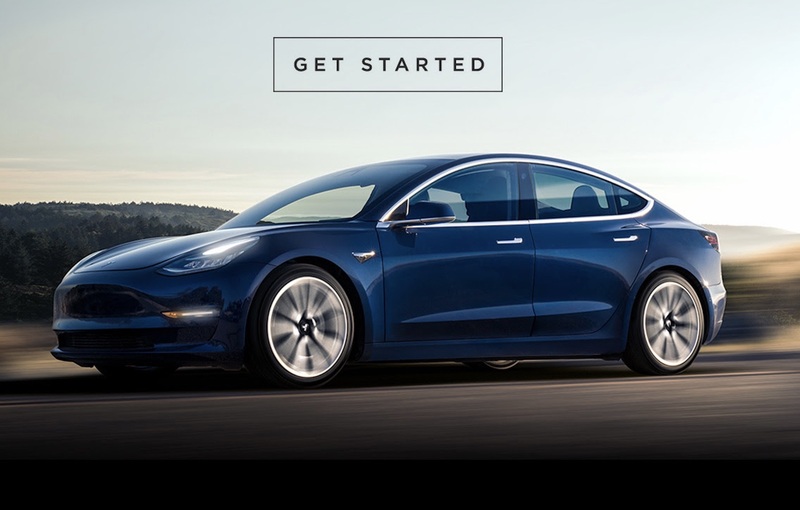 Today’s email, a surprise by many accounts, invites regular Model 3 customers to “Get Started” with designing their vehicle only weeks after Tesla CEO Elon Musk revealed battery production challenges faced by the company. Even more noteworthy is the “Delivery in 4 weeks” messaging seen on the first screen of the Model 3 online configurator. This would put a date of late December for first customer deliveries, a follow up to the “Model 3 Update” email wherein the company notified customers of the revised Model 3 delivery dates. There doesn’t appear to be any difference between the employee and customer versions of the online configurator. Buyers have the option to choose from a first production Model 3 with long range capabilities and premium upgrades, or hold their place in line for a $35,000 base model that has an expected production date of early 2018. Those looking for a dual motor all-wheel drive variant will need to wait until Spring 2018, according to the messaging on the configurator. 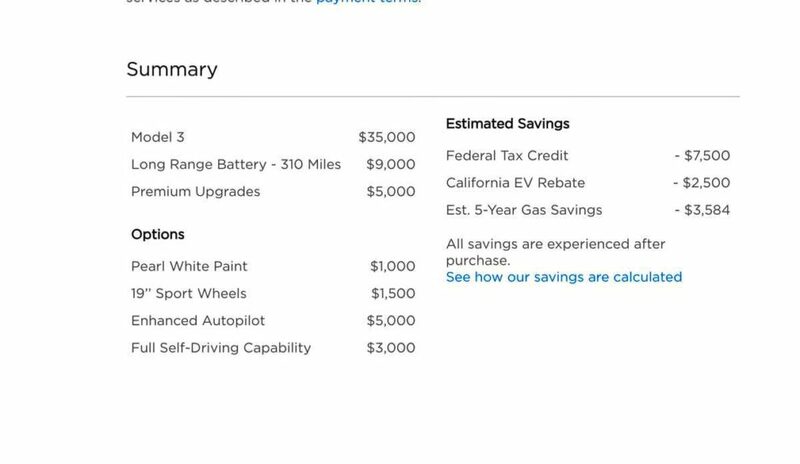 Model 3’s Long Range Battery option, capable of an advertised 310 miles of range though EPA documents suggested that the Model 3 has closer to 334 miles of range, and Premium Upgrades will increase the price of the Model 3 to $49,000, or 40% over the base price. Included in the Premium Upgrades package is a glass roof, 12-way power adjustable front seats, premium audio system, and higher end finishes. Don’t miss the thorough, hour-long and in-depth review of the Model 3 in 4K video if you want to learn more about the vehicle’s features. With first deliveries expected in December, it would appear that Tesla is making good progress on addressing its Model 3 production constraints. Musk revealed during the company’s recent Q3 earnings call that the software responsible for manufacturing two of the four Model 3 battery modules needed to be rewritten “from scratch”, leading to a delay to volume production. “We had to rewrite all of the software, from scratch. We managed to write 20 to 30 man-years of software in 4 weeks.” said Musk in explaining the level of reprogramming needed on the mechanical elements of Model 3’s automated manufacturing process. Tesla expects to produce 5,000 units per week in the first quarter of 2018, followed by a larger ramp up in the second half of the year.